Which is the best-looking F1 car of 2017? Discussion in 'Formula One Discussion' started by olegg, Feb 26, 2017. Poll closed Mar 26, 2017. The paint job is the only thing that differentiates them. I know computer aided design is likely to drive teams down the same road and the regulations don't allow for much innovation but we now, effectively, have a spec formula in F1. Then we get in to marginal differences in the suspension and tiny details in the aero. Would a more open formula allow greater innovation at a lower cost? Bill Boddy, Andyoak and rufus_mcdufus like this. Glad someone voted for the Renault. That would be my second choice after The Merc on pure looks. Not that it matters a single jot - the Pavarotti Rule states that if it's successful then it's good looking. F1 teams will spend every penny they get, any money saved would be spent elsewhere on another set of winglets on top of another four sets of winglets. 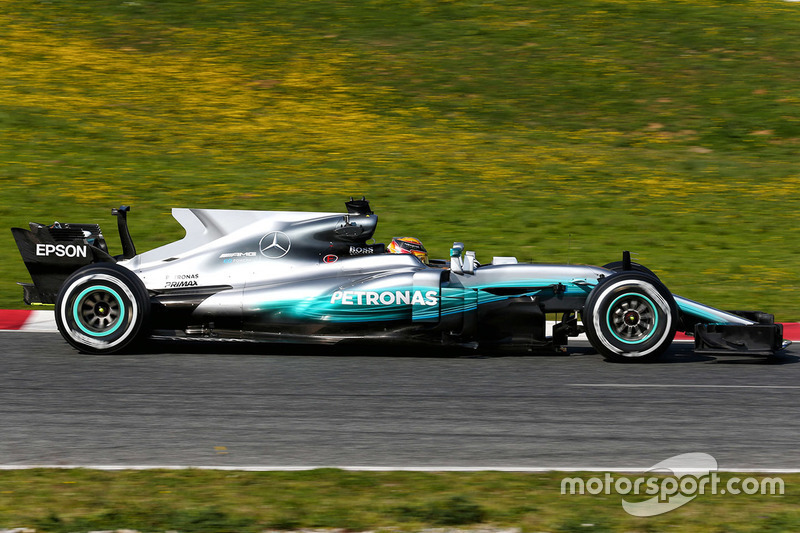 I said the merc simply for the lack of the shark fin, i dont like how the rear wing slopes back on any of them, i think its too 'try hard' to look fast. I just can't take the Little Tikes Stroller Bike bars seriously. Abmessungen Formel 1-Autos 2017: Wer hat den längsten Radstand? Galahad and FB like this.